A Reading Adventure that Takes You Around the World! Psst! Want a great way to hook kids into reading while teaching important concepts about geography and library resources? If so, TOP SECRET is for you. 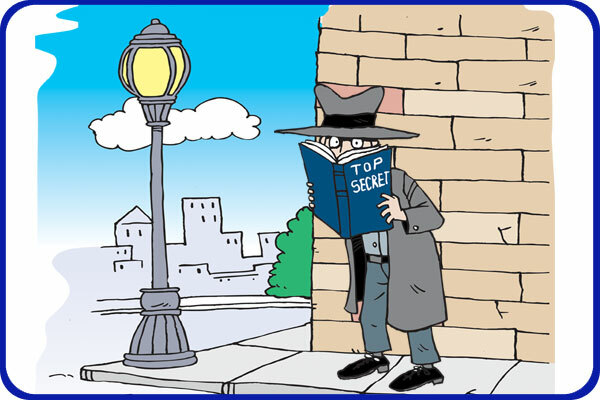 Join Secret Agent Steve as he takes young readers on an amazing mission solving clues that lead to tons of learning and fun in the library. Students will discover cryptic messages (Dewey Decimal numbers) that help them interpret maps, charts and photographs as they explore the world around them. An educational specialist, Steve combines his unique blend of “education and entertainment” to creatively teach young readers. Using magic tricks, drama, puppets, stories, and music Steve makes reading and learning fun! This program takes a subject that kids find irresistible, in this case secret agents and spy gadgets, combines it with magic, puppets, and a cute bunny rabbit, and suddenly the kids are captivated. When Steve has their attention the subtle teaching begins about what is possible through reading books. At the end of the show the kids are all presented with their very own “Secret Agent Bookmark” which has a list of their “Training Objectives”. These objectives are a list of the subjects discussed in this program along with their Dewey Decimal numbers so the kids can find the books in the library. How many of your students currently carry around a list of Dewey Decimal numbers in their pockets? Kids who watch our programs do and they refer to them often as they try to read at least one book from each subject area. Observation (learning to watch with your eyes and listen with your ears) is just one tool in the Detective’s handbook. 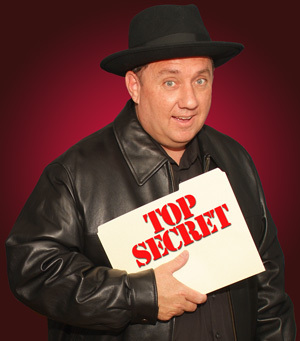 The Top Secret show will challenge students to pick up a good book and follow the clues to success. They will discover that you can learn anything by reading, even how to find a missing rabbit! Learning should be fun. Real education should engage the mind, excite the heart, and expand the possibilities of life. It’s no secret that students learn more when they are having fun. 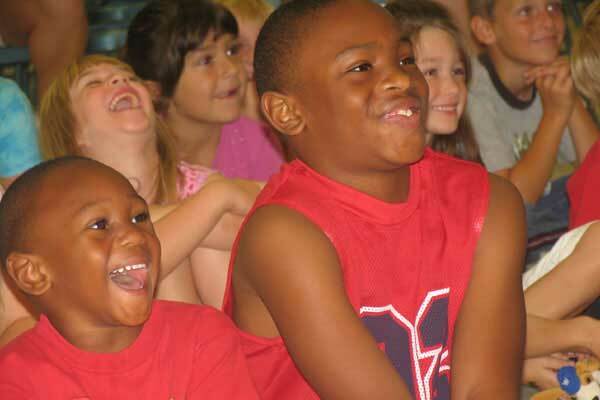 The kids pictured above saw the Top Secret show and you can see the results: It is laugh out loud funny! Have you ever lost something and didn’t know where to start searching? That’s the plot to the Top Secret show. Hopper the magic rabbit (Steve’s friend) has gone missing. Fortunately he left some clues (in the books), and now it is the job of the audience to help Steve discover where in the world Hopper went! 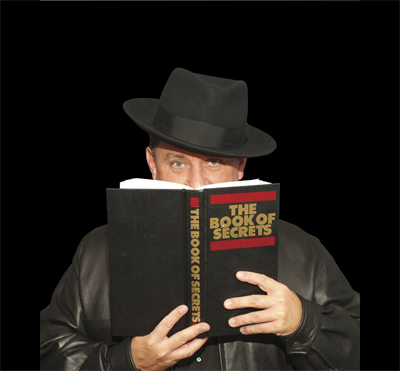 Top Secret will make books disappear off the library shelves! 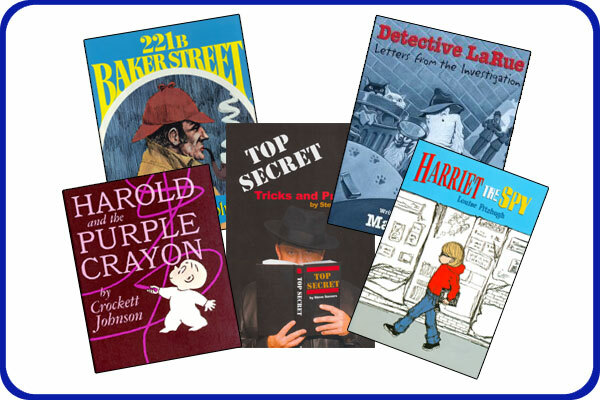 Solve the mystery, book Top Secret today!